It’s Spring now, officially. That calls for some getting outside and special activities! Of course, I’m on crutches post-surgery, so that limits our options a bit. But there’s always an excuse to give up, stay home, and do nothing. As tempting as that might be, sometimes convalescing means getting out and enjoying fresh air. We packed up the kids into the van and drove off for parts unknown – at least to us. 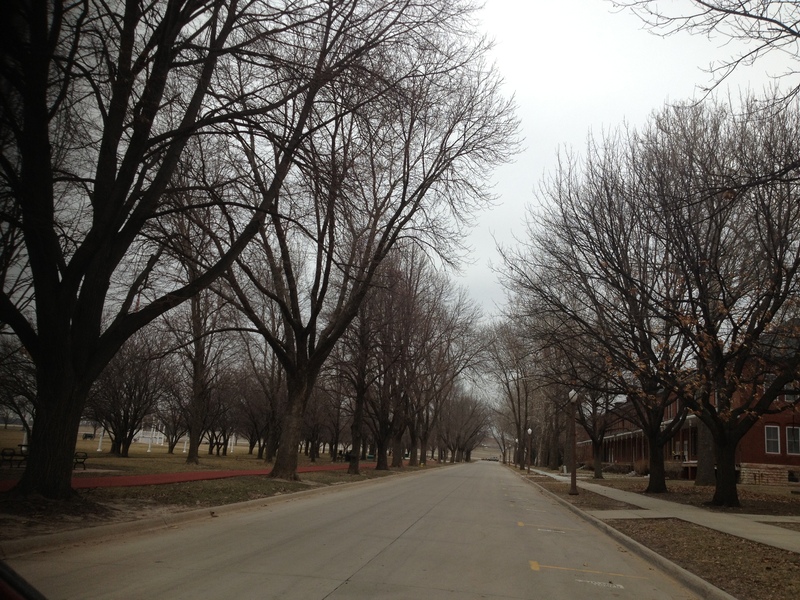 The line of trees along the road next to the parade grounds. I need to get a picture in Autumn! There are several houses on base that have stood for over a century, dating back to the early days of Fort Crook. At the parade ground pavilion, there are pictures of Army infantry and cavalry formations from the 1900s, with these houses in the background. 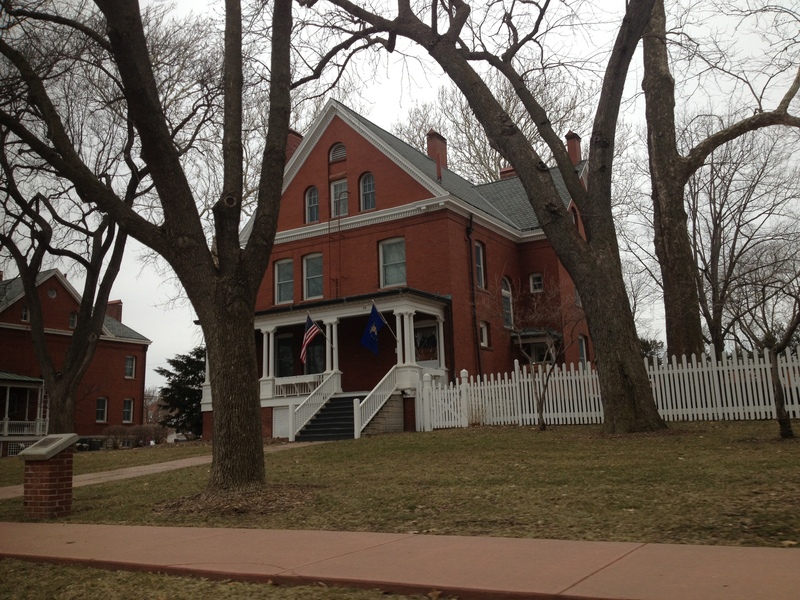 One of the houses near the parade grounds – over 100 years old! My wife loves the architecture, so we snapped a couple pics. 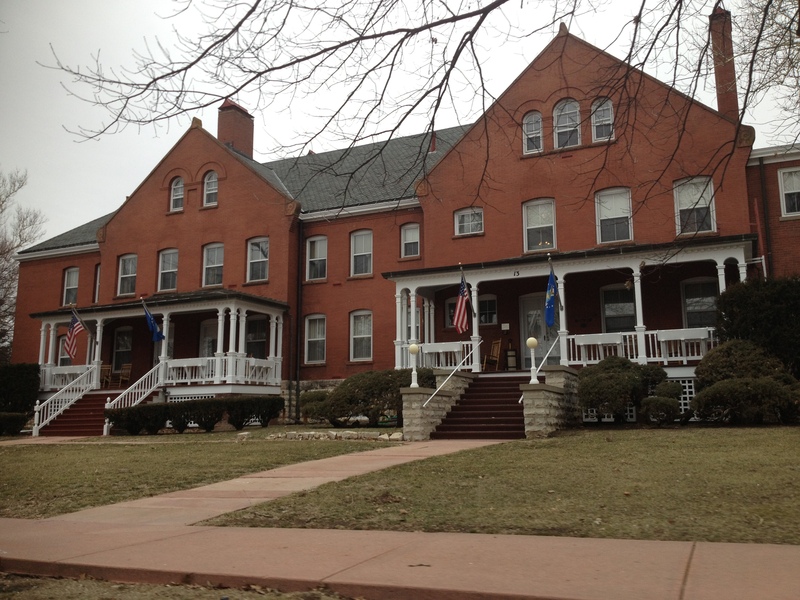 More Offutt history – now converted to visiting officer quarters. 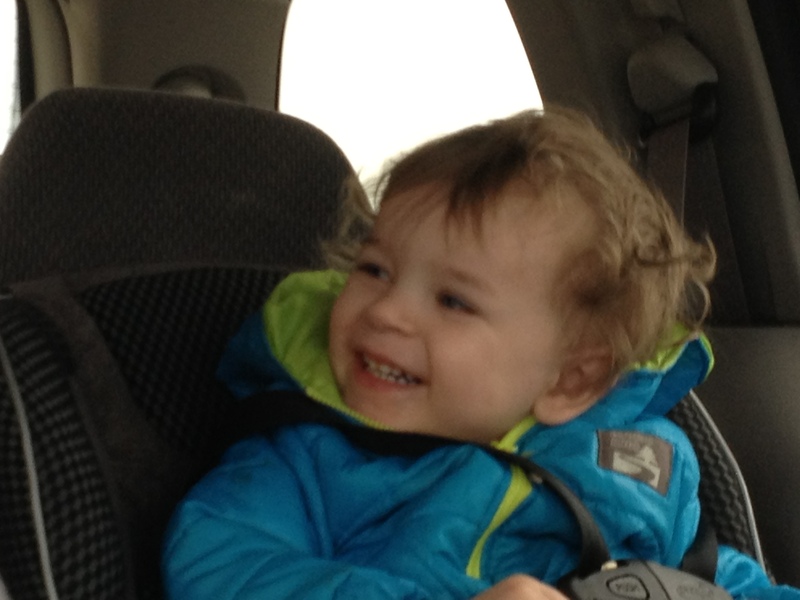 Judah smiles at his big sister as she entertains him on our trip. Going fifteen minutes down the highway into a neighboring state might seem like no big deal, but for our family, it’s a new concept. We spent eight years on the small-ish tropical island of Okinawa. The freedom to drive around the States is almost overwhelming in comparison! 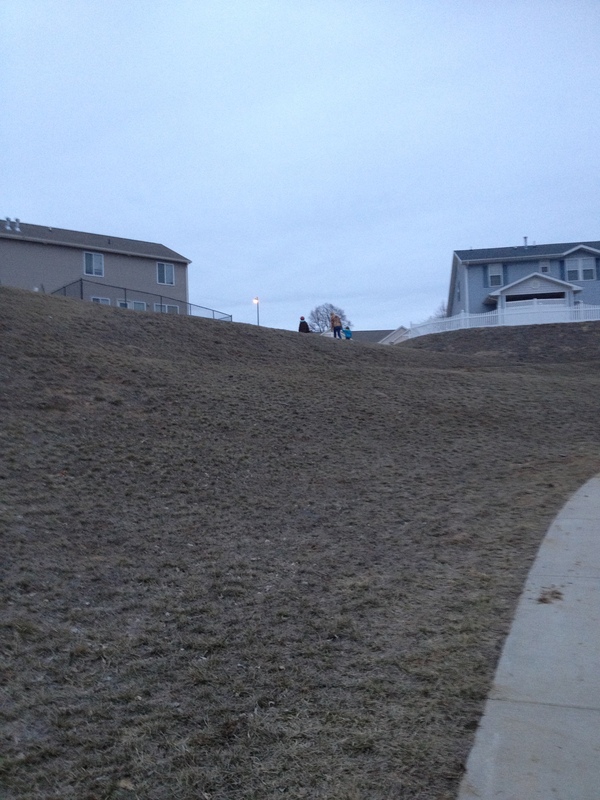 Once we got home, Jonathan went to his friend’s house, and the rest of us walked (crutched) down to the park in the bowl behind our house. 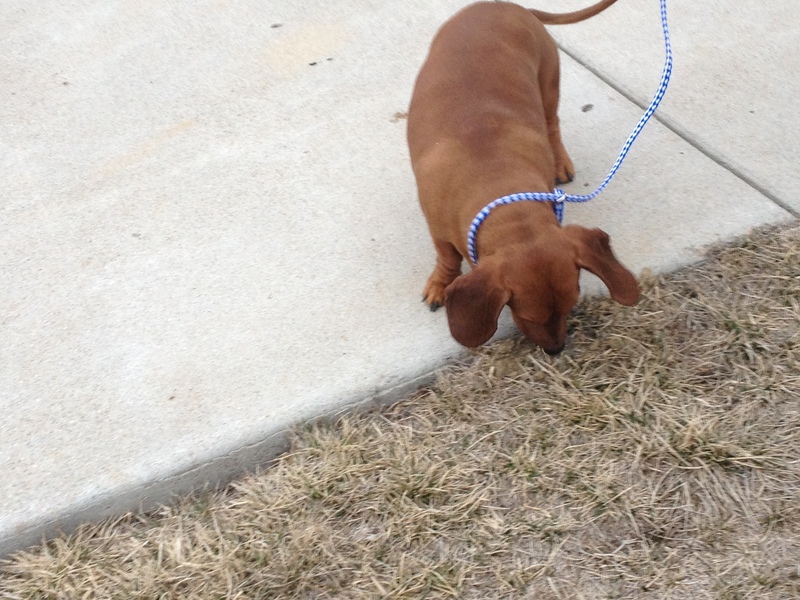 It’s enough of a walk that our neighbor even sent out her daughter to tell me I’m crazy for crutching around that far. 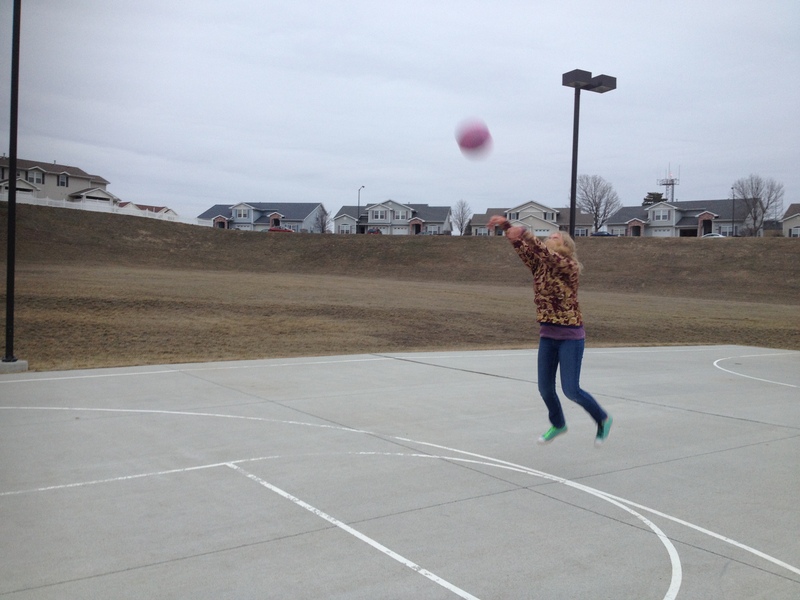 Deborah has been excited about playing basketball with her friends, so we took the opportunity to check out her skills. Judah got out and ran around, and Justin rode his scooter around the court. I even took a couple shots. Ok, I took several. It’s surprising how much you need your feet for support. 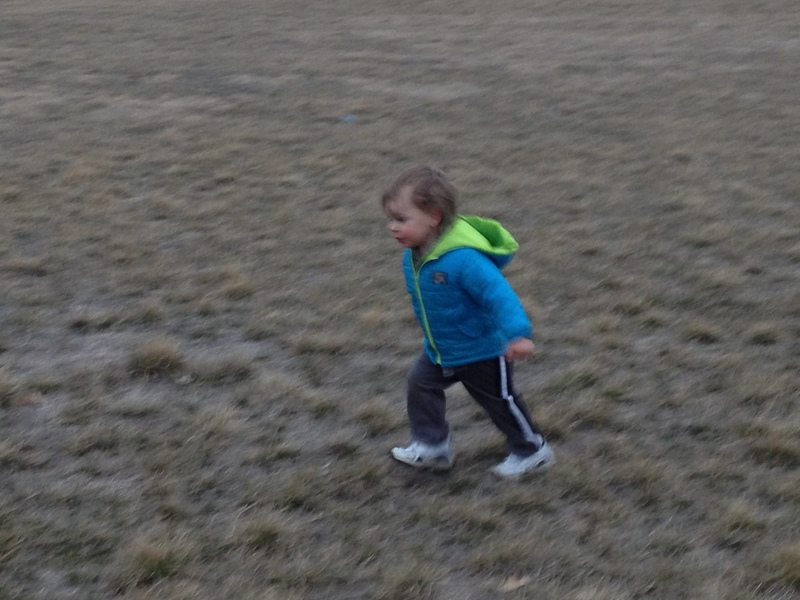 I chased Judah a bit – even on crutches, I can catch him on cement, but he beats me on the grass. 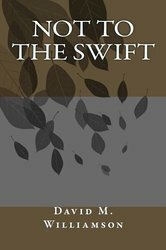 Off with a dash, Judah makes his escape. Dinner time arrived, so we trudged back up the hill to end a very busy day. 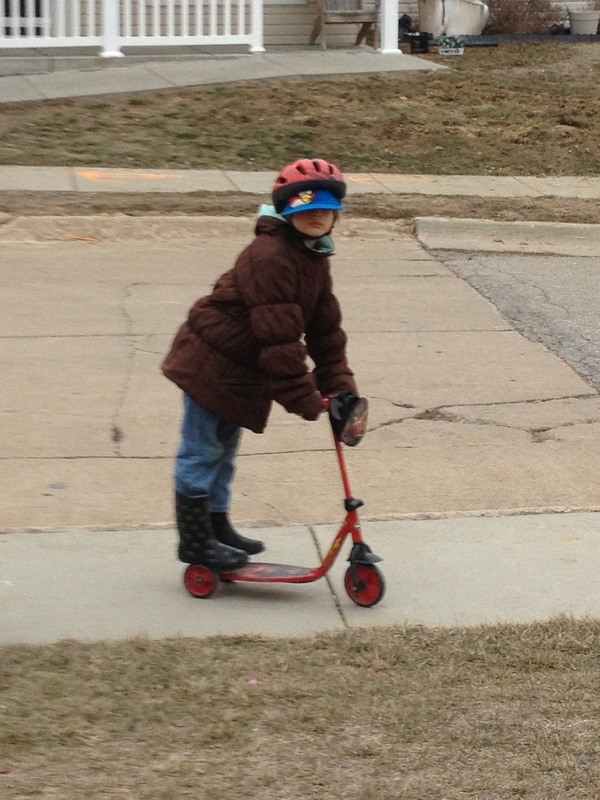 It may not have felt like warm spring and sunshine, but it was still a great excuse to get outside. The hill as we headed back home… coming down was easier!